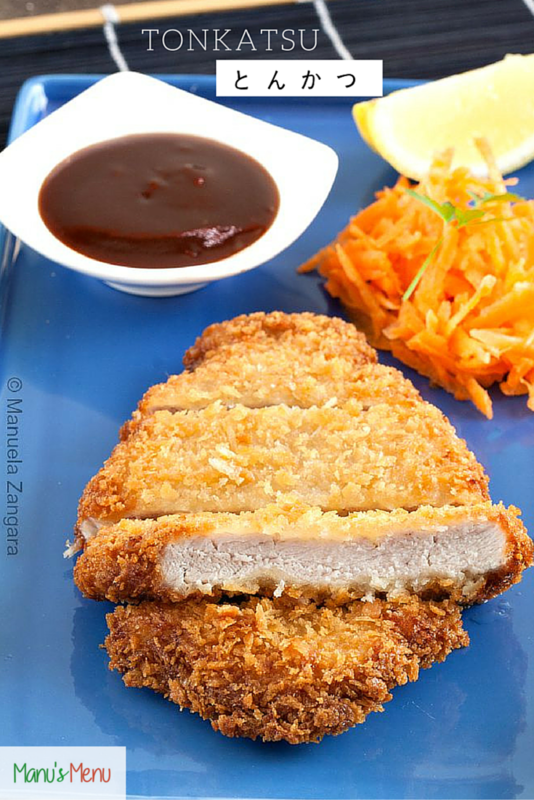 Today’s recipe is one of my favourite Japanese dishes: Tonkatsu. 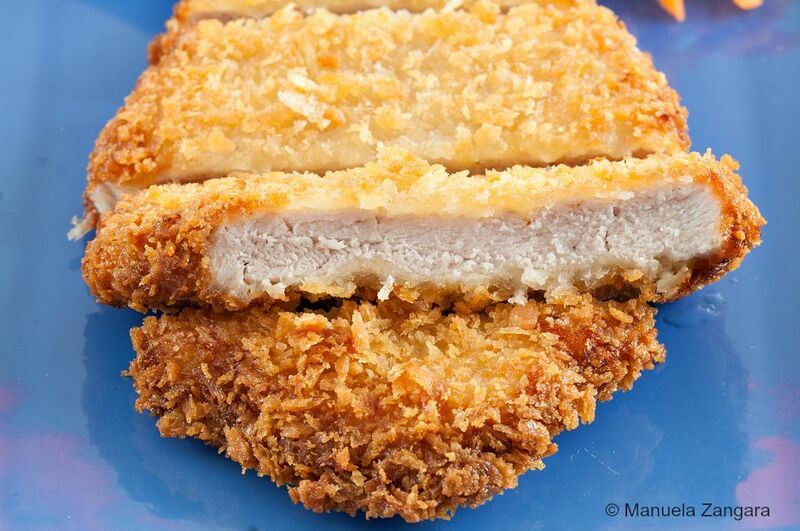 It is a deep fried panko coated pork cutlet. Nothing fancy, really. To tell you the truth, I did not know what all the fuss about it was before going to Japan and tasting it myself. In the end, I thought, it is a fried pork chop! Boy, I was wrong. Sure it is a fried pork chop and being from Milan, I have grown up eating cotoletta/schnitzel regularly, but Tonkatsu is a notch above it. What makes it special is the fact that the pork chop is thick, the outside is amazingly crunchy and the inside is still melt-in-your-mouth tender and juicy! I almost could not believe how soft the meat was! Tonkatsu can be eaten on its own or as the base for other dishes like curry, Ramen and even sandwiches. In Japan there are restaurants that specialise in Tonkatsu, like Wako or Mai-sen, but you can easily replicate it in your own kitchen . You too will be able to make the perfect Tonkatsu by following a few tricks. 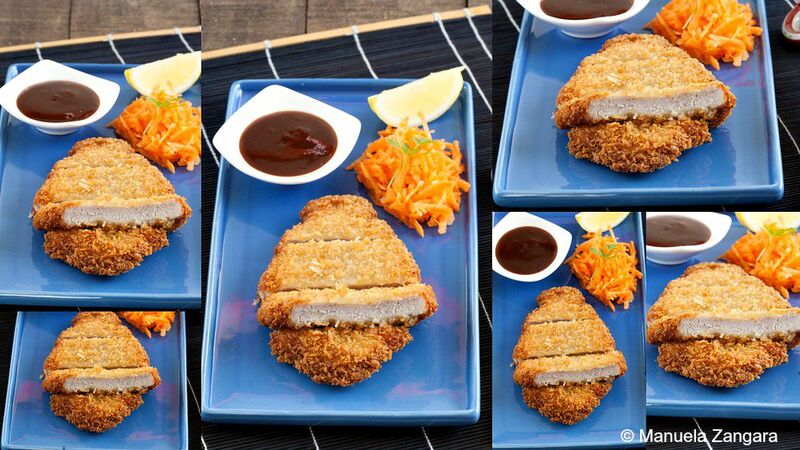 The secret to great Tonkatsu is to double fry the pork! Read on and you will be amazed by how easy this recipe is. Tonkatsu - a fantastic Japanese recipe: deep fried and panko coated pork chops, crunchy on the inside and still juicy on the inside. Spray the panko with a little water and leave it aside to “soften” for 15 minutes. 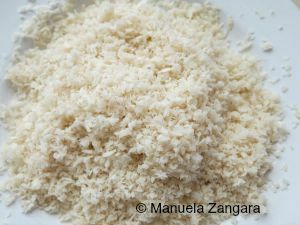 Do not add too much water, just enough to dampen the panko and make it a little softer. 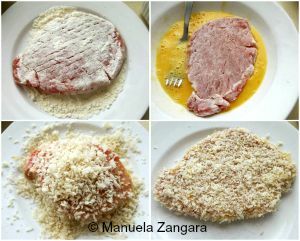 Trim the pork chops of any extra fat and make a couple of slits on the connective tissue between the meat and fat so that the pork chops do not curl up when frying. Pound the meat with a meat pounder to tenderize it and season it with salt and pepper. 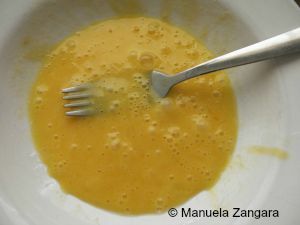 In a large bowl, add ½ tablespoon of vegetable oil for each egg you use and whisk it together. This will prevent the bread coating from detaching while deep frying the meat. Dredge the pork chops in some flour and remove the excess. Dip in the egg mixture. Dredge in panko. After removing the excess panko, press gently and keep aside. Heat the vegetable oil in a wok over medium high heat until it gets to 180°C – 350°F, then deep fry the pork chops. 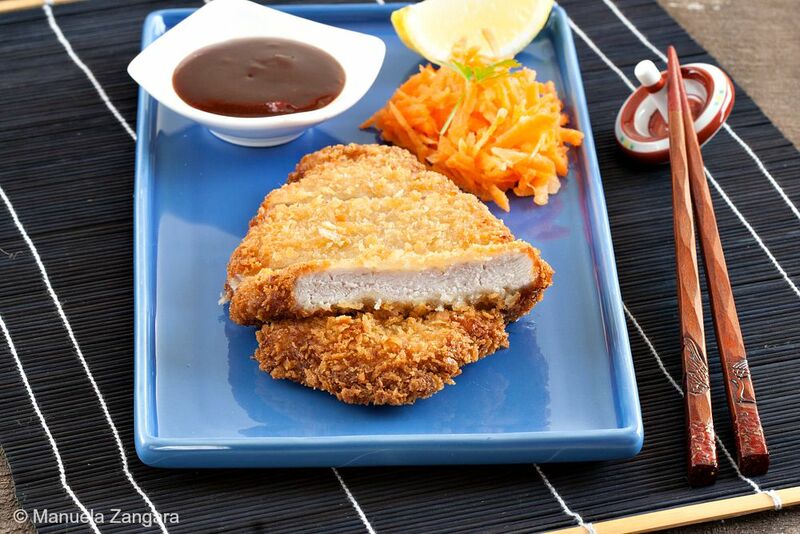 Keep watching the oil’s temperature and make sure it doesn’t go over 180°C – 350°F or else the Tonkatsu will burn. Deep fry for 1 minute on one side and flip to cook the other side for 1 minute. Now take the Tonkatsu out and get rid of the excess oil by holding it vertically for a few seconds. Place it on top of a wire rack and let it rest for 4 minutes. The meat will keep cooking while it rests. Do not cut it open to check if it’s done yet! 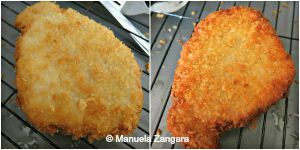 After resting for 4 minutes, bring the oil back to 180°C – 350°F and deep fry the Tonkatsu for 1 more minute (about 30 seconds on each side). Poke the meat with a chopstick and if clear liquid comes out then it’s done. Drain the oil by holding the Tonkatsu vertically again for a few seconds. Then leave it on the rack for 2 minutes. Cut the Tonkatsu into large pieces by pressing the knife directly down instead of moving it back and forth. This way the breading will not come off. It’s a favourite at our house too. Yours looks magnificent. All those golden crumbs and that lovely juicy interior. Yum!